Be warned however that an inkjet printer will still use some colour ink when printing as it needs to do this to keep the printhead clean and free from ink build up. If it didnt do this then when you do try to print a colour image you may find that it could have white lines all the way through it. I personally wouldnt recommend doing this with an Epson printer as they are known for print head clogging even when used in full colour mode. By defaulting to Black and White it could potentially cause major issues with the print head. From your computer, select Start > Settings > Printers and Faxes. Right-click the name of your printer. Select the Advanced tab, then under the Color printing section, select Print Colors as Black and White. 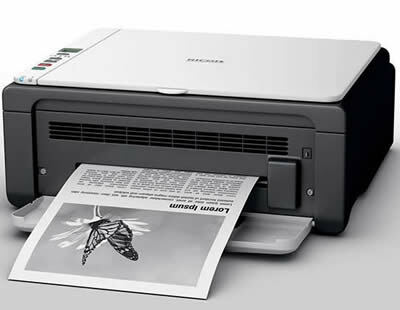 Using the above procedure to print in just black and white is certainly a viable option however I personally would change the printer back to colour mode at least once a fortnight and print at least one page of colour. This would help to keep the print head clean and prevent it from becoming clogged with ink that has been sitting idle in the colour print nozzles for an extended period of time. Remember that even if you do set your printer to print in only greyscale (black and white) that it will still use up the coloured inks. There is no way that you can stop a colour inkjet printer from using the coloured inks as it is a built in protection system for the delicate printhead. If you want to print in black and white only and you dont ever use the colours then you are better off getting a cheap mono laser printer such as a Brother or Samsung which usually retail for around $100 on special.